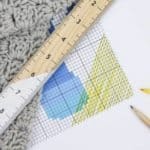 Each of these stitch tutorials is made using multiple colors of yarn to create stunning effects! 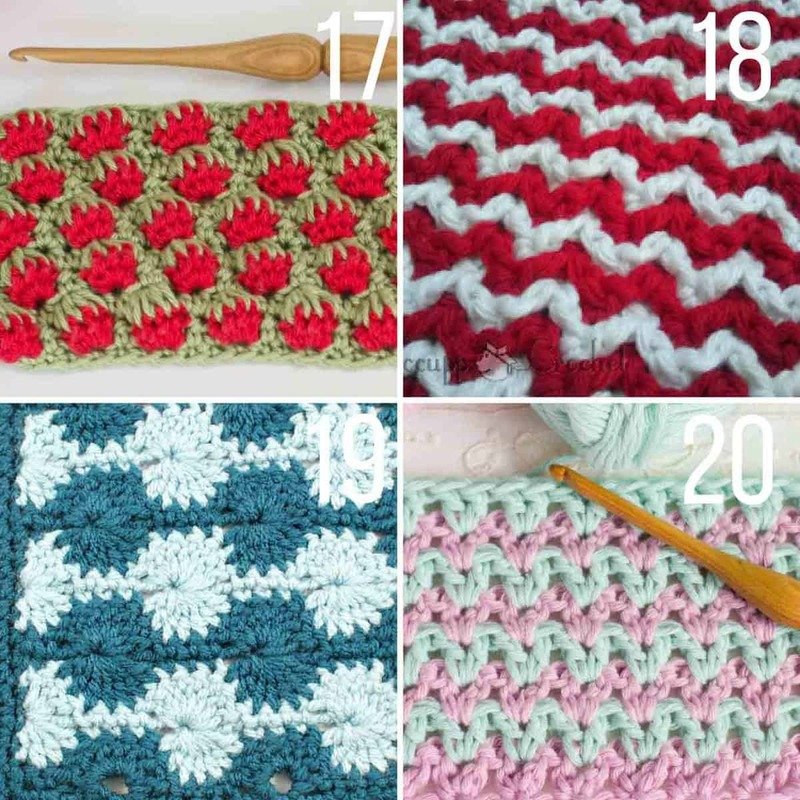 This crochet stitches list has something for everyone–beginner to advanced. 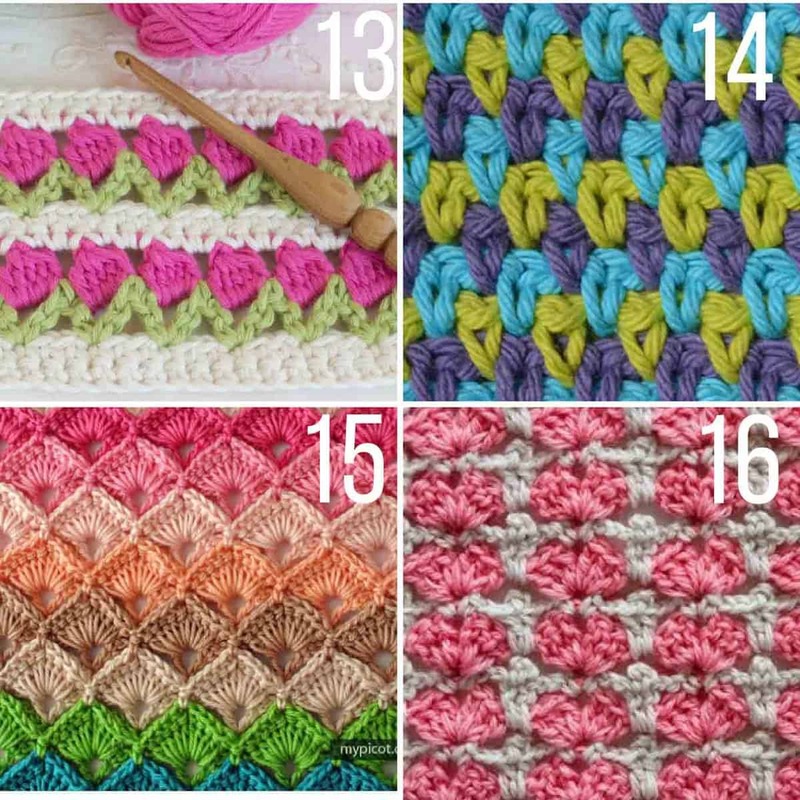 No one has ever accused me of being adventurous with color (except when I painted every square inch of my tiny bedroom in college a combo of tangerine orange and neon green), but I love looking over this particular crochet stitches list because the combinations are stunning! 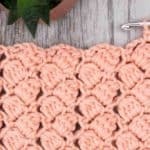 Each of these crochet stitch tutorials uses two or more colors of yarn to create a visual pattern. Many of these stitches would create fantastic crochet home decor projects like afghans, pillows or cushions. Someday I would love to make a sampler afghan out of dozens of smaller swatches like this. Don’t these photo collages almost look like little square sampler afghans themselves? 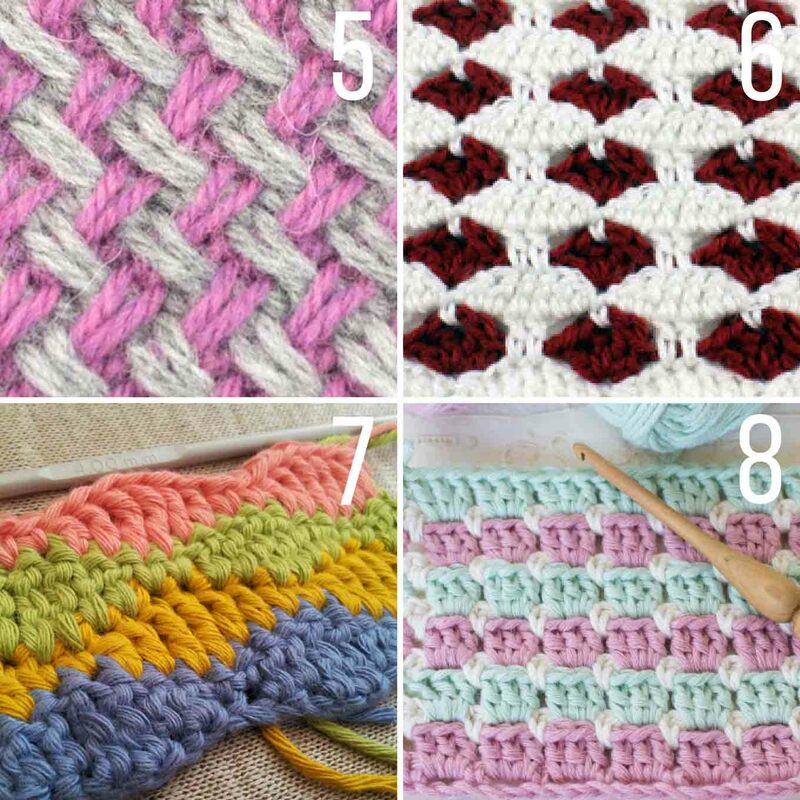 For lots more crochet stitch tutorials, check out my list of 25+ Crochet Stitches For Blankets and Afghans and all my stitch video tutorials! What a lovely job you did on the multiple stitch options. I, too, love to crochet but, my problem is, what do you make after you’ve made afghans and pillows and scarves and shawls, etc. for everybody.? I, also, love thread crochet …..have made yards and yards of edgings, doilies, pictures, etc. Have even made paper weights by thread crocheting over flat, smooth rocks.. Have made dozens of Amigurumi. How about some new way to embellish clothing with crochet??? Actually, will be making your fingerless gloves as that will be a first for me. Thanks!! We have a local organization, From the Heart that sends crocheted or knit items to many organizations, schools etc. Hats and blankets for chemo and radiation patients at the cancer units, warm hats and scarves to school kids who don’t have $ to buy them, hats, blankets to homeless, vets, etc. They gave donated yarn so I decide what I want to help make that they may need now and go pick up some yarn. I love it and enjoy challenging myself to learn new stitches. That sounds like a wonderful cause, Vicki! May I ask where you live? I always have extra yarn and I’d love to donate it to an organization like yours. 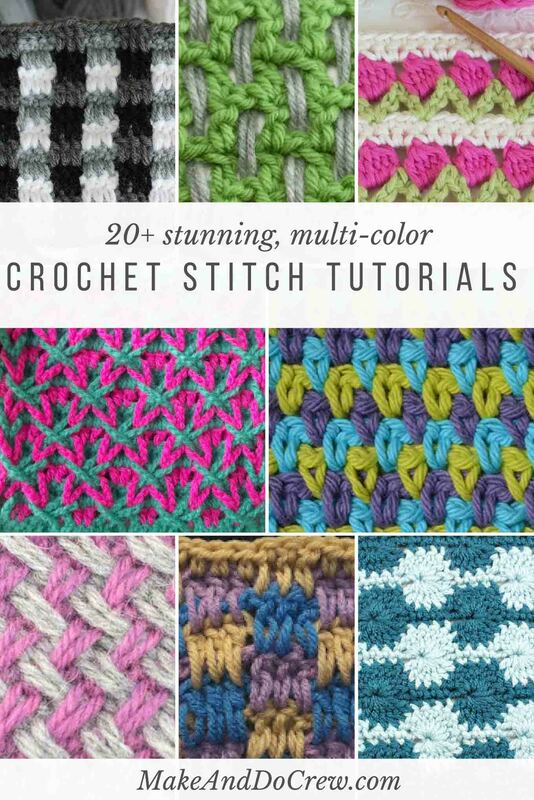 Thank you for this collection of fun and pretty stitches to try. Do note, however, that #5 is a knit stitch. 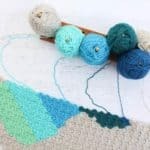 That stills leaves plenty for us crocheters to work with, but I just thought you should know. Ha–yes! Thank you so much for pointing that out, Judy. I am in the process of updating it. 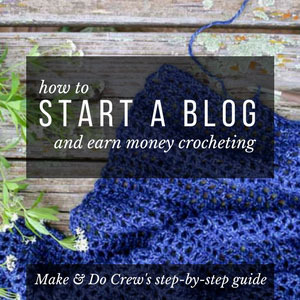 I’m only beginning (ok planning) to learn crochet but I’ve bookmarked this page! I am very bad at crafts so I expect a looong learning curve – thanks in advance for sharing so generously. Wow!! 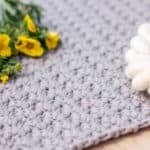 Thank you so much to featured my FREE Crochet Star Stitch! You are welcome, Lilia! Thanks so much for creating an awesome and helpful tutorial! 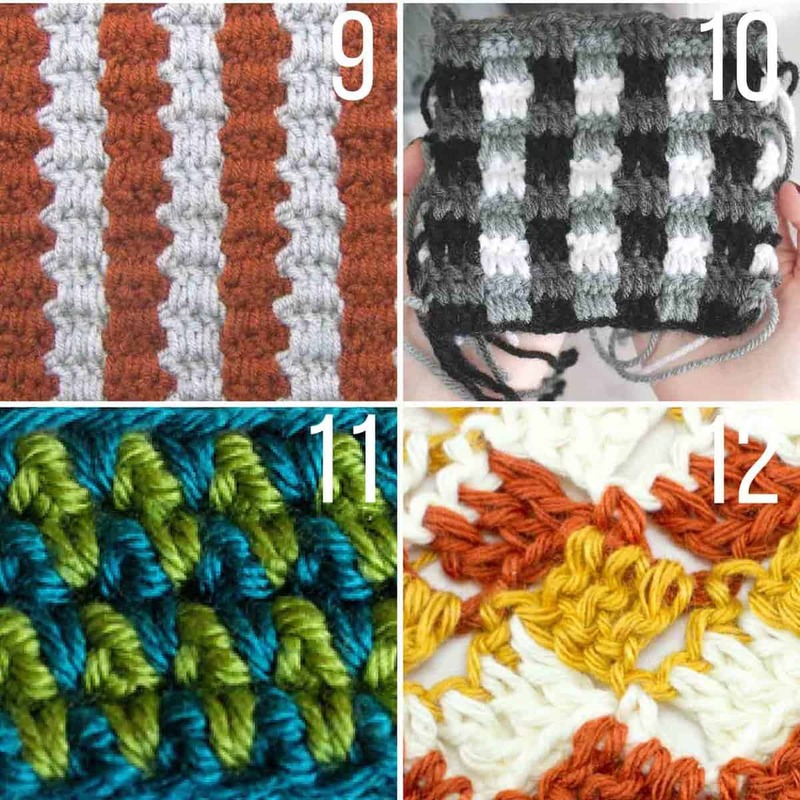 I seriously wanted to use your #15 stitch pattern for my afghan but it seems to me that #15is the wrong one shown I am sure I can figure this out to by looking at the picture . Not necessarily what I had in mind . I think that stitch would be lovely for an afghan! You can find the step by step tutorial here. Great site! 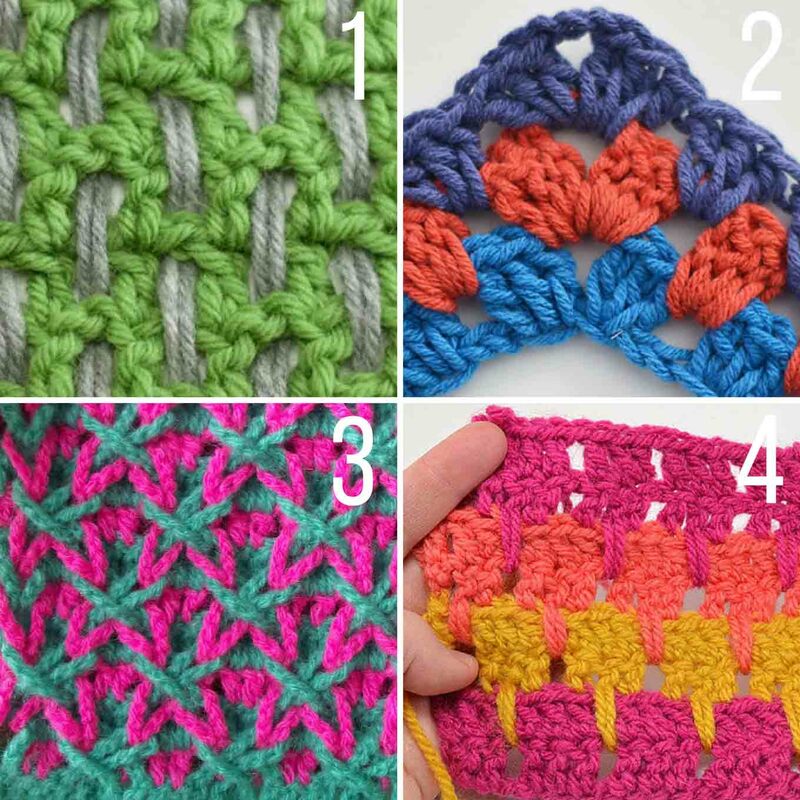 So many different combinations of Crochet stitches–just what I was looking for!!!! A suggestion for Allie (she wants to do more than Crochet afghans and doilies — tho’ there’s nothing wrong with that!😉–). Have you tried to make Crocheted/beaded jewelry?). There are places you can check out on the web for this kind of creative, expressive craftwork. your fingers for me- first place is a BLUE RIBBON!!). Thanks for all your hard work and ‘specially for your love of the craft. Beaded jewelry sounds like a really cool use of crochet. I haven’t tried it before. Thanks for the idea! Big oops! Wrong name — it is as Yvonne who wants to do more creative work with her Crochet– sorry Yvonne (AND Allie!). the plaited basketweave is a knit stitch… Not crochet.